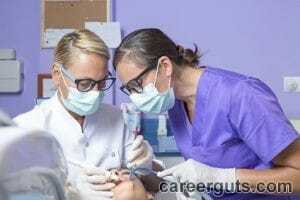 Home / Dental Assistant / Dental Assistant Jobs / What is a Dental Assistant’s Pay? Dental assisting is one of the fastest growing health occupations in the United States. If it is a career you are considering, read on to learn about the job duties and the wages you can earn. Most dental assistants work for dental practices, though some find employment with federal and state government offices. They perform many clinical and administrative duties based on employer needs, training, and state guidelines. 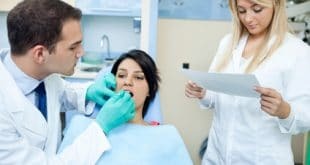 Clinical (back office tasks) – Assisting dentists by handing them the proper tools during surgical procedures or routine exams is the main aspect of the job. They also keep a patient’s mouth dry with a suction device, remove sutures, prepare compounds for impressions, construct temporary crowns and bridges, take x-rays, sterilize instruments, and teach patients about proper flossing methods. Administrative – When not assisting dentists chairside or working on other back office tasks, dental assistants often answer the telephone, process insurance claims, confirm and schedule appointments, order office supplies, and file patient records. Not all states require formal education in order to become a dental assistant. However, if it is not mandatory where you live, enrolling in a program is still beneficial since it often increases your salary. Depending on if you want to earn a certificate or an associate degree, you can complete your education in nine months to two years. The Certified Dental Assistants exam is given by the Dental Assisting National Board, and thirty-eight states require this certification. Even if you do not need to sit for the exam, it is best to do so. Passage will most likely give you a higher salary. In fact, those who are certified usually earn an average of $2.01 more per more hour than those who are not. Geographic location – Dental assistants who work in rural areas often earn at least $10,000 less than those who work in metropolitan areas. Duties – The more duties dental assistants are able to perform, the bigger the asset they are to their employer. Experience – Like many professions, dental assistants with the most experience earn the highest wages. Where Can You Earn the Highest Salary? What States Pay the Least? How Can You Increase Your Earnings? Relocate – If you are able to relocate, moving to a higher paying location could be beneficial. Just remember to compare your potential salary with the cost of living for that area. Talk to your employer – If you are employed at the same practice for some time, it doesn’t hurt to ask for a raise. Be ready to explain why you feel you deserve higher wages. Additional certification – Along with the basic dental assistant certification, you can choose to become certified in one of these areas: orthodontic dental assistant, preventive functions dental assistant, restorative functions dental assistant. 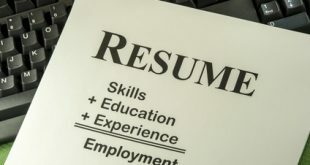 Annually, there are approximately 80,000 job openings for this field, and the U.S. Department of Labor Statistics states employment for dental assistants is expected to grow 25% between 2012 and 2022. The reason for the rise is partially due to continuing research that links oral health with general health as well as the fact the elderly population is keeping more of their original teeth than ever before. If you would like to learn more about a dental assistant’s pay or about the profession in general, contact us.